National Makeover Day on QVC. QVC has declared that tomorrow, Thursday, May 20, will be National Makeover Day – a 24-hour celebration devoted to helping women create positive change inside and out. Sounds like fun, doesn't it? I am such a sucker for these 24 hour theme shows, especially when anything involving beauty is involved! Some of the special highlights will include beauty and hair makeovers from our favorites Bobbi Brown and Chaz Dean, along with some fashion makeovers too. What is really great about this, is that throughout the day, the experts will continue to share how QVC viewers can achieve similar results at home. Even more important is the attention that QVC and the brands will be bringing for a great organization, Dress for Success. Their goal is to raise awareness for the charity and celebrate improving lives of women. It looks like Bobbi Brown will have the honor of having the Today's Special Value for the day. Also featured will be a selection of products from Chaz Dean. This TSV set features 6 pieces that will easily help to create both a fresh daytime face, or bold smokey eyes perfect for a night out. It is Item #A95170 and will sell for $84.96. This is a great four piece set to use to familiarize yourself with the brand. 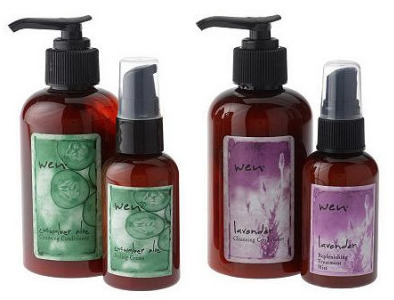 For WEN devotees, it can used to supplement their existing collections or learn to enjoy new products from the brand. This one is Item #A202287 and will sell for $36.74. Of course those caught my eye! Tune in tomorrow, Thursday, May 20 for this all-day event! All products are available through QVC at 800.345.1515 or QVC.com.